The Incredible Hulk! The green giant is another addition to the Kotobukiya Avengers NOW ARTFX+ series. It is based on the artwork of Adi Granov and is incredibly sculpted in 1/10 scale, standing nearly 10" high! 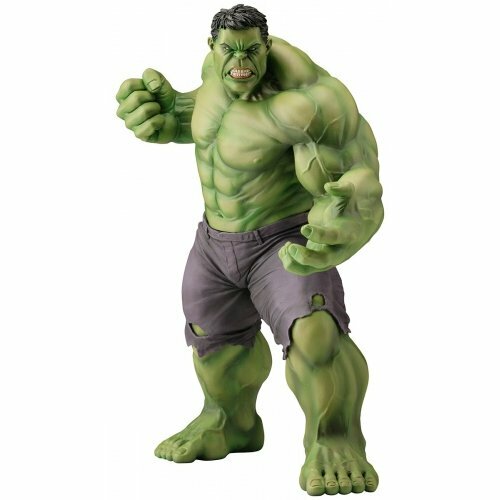 The Hulk is a must-have to complete this awesome line of Earth's Mightiest Heroes!